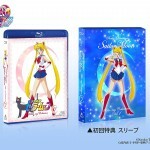 The second Japanese Blu-Ray set of the original Sailor Moon anime was released on August 9th. 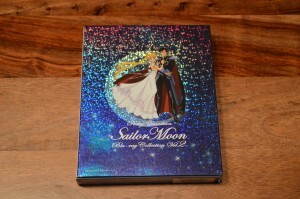 This includes the second half of the first season of Sailor Moon remastered in HD for Blu-Ray. 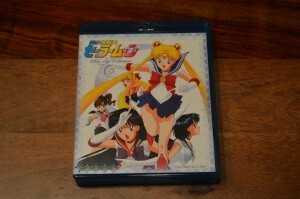 This is a Japanese only release, meaning no English dub or subtitles. I got a copy and wanted to provide some thoughts on it. I previously did a more thorough review of the first set, which includes screenshot comparisons between various versions. I would recommend checking out that post to get an idea of the quality if you are interested in picking up this release. The set is available through online retailers such as Amazon Japan and CD Japan but beware that the cheapest you’ll find it for is about $150 US. 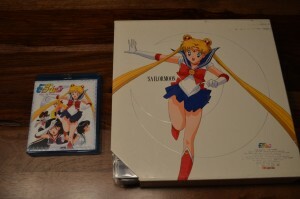 This is considerably more expensive than the North American Blu-Ray releases from Viz. So why would someone want to get this set instead of buying the English version? It really comes down to minor improvements in video quality. 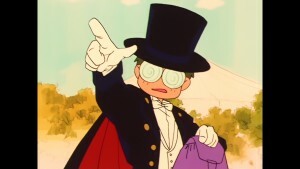 I don’t have many nice things to say about the Viz Blu-Ray releases. The picture quality in these is pretty low due to being authored from some pretty bad masters. 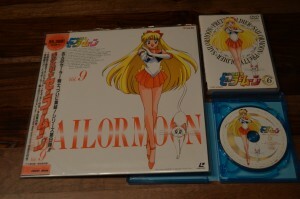 This Japanese version has better source material which leads to a better final product. The catch? No matter how much software they throw at it, this is still an upscaled version of a standard definition source. What this means is that a DVD equivalent 480p quality source was used and using software algorithms it was extrapolated into a 1080p HD video which is used for the Blu-Ray. Does this look better than a DVD? 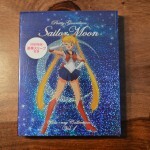 That’s a somewhat subjective question but it certainly doesn’t look like it would if the original film source was used to get an HD version, as has been done with the recently released Sailor Moon R movie. 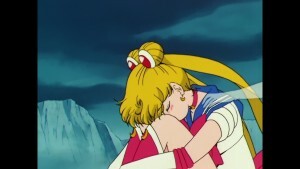 Still, this is pretty much the best quality version of Sailor Moon you’ll find. 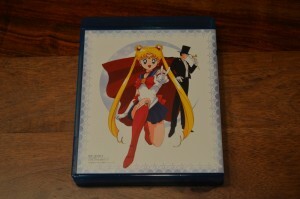 If you’re such a perfectionist that you absolutely need to have the original Sailor Moon anime in the best quality possible, then you’ll want to buy this set. Most people won’t find this to be necessary. I’ve included a few screenshots in this post, with more at the end if you scroll down, to give an idea of the quality. Again, check out my first volume review for specific comparisons. This second half of the first season contains some great episodes with some fantastic animation. Seeing them in good quality is a real treat. 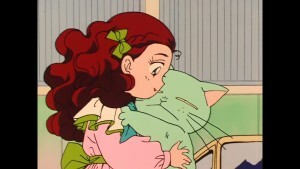 The episodes included start with episode 24, Nephlite’s final episode, and continue until episode 46, the season finale for the first season. It begins and ends with people dying and there’s a bunch of dying in between as well! This is indeed a heart wrenching half season to watch but to me it’s anime at its best. 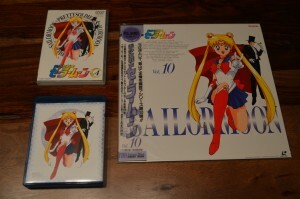 As with the first set, and pretty much all releases of the original Sailor Moon anime, the box art used on the cover art and discs is reused from the first video releases of Sailor Moon on VHS and laserdisc back in the 1990s. This is great iconic art which continues to hold up with this release. There seems to be no need to replace it. 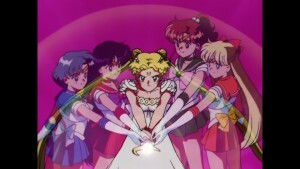 Featured in this art are Sailor Jupiter and Sailor Venus, both of whom first appear in this set, as well as group shots and images of Serenity and Endymion, two characters who are especially relevant in these episodes. There isn’t a ton in the way of special features in this release. We have creditless opening and ending credits and the 15 second commercials which were shown on TV when this originally aired. 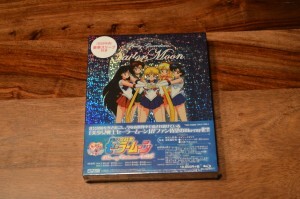 This is something which has been included time and time again with Japanese releases of the Sailor Moon anime. 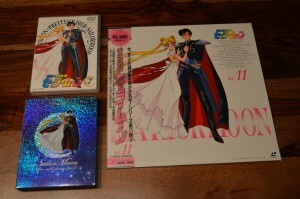 While there were many, many other special video features included in the first season laserdisc video releases none of these appear in this or the previous set. This seems like it would have been something fairly easy to include in this set but there seems to be little interest in resurrecting this old footage. 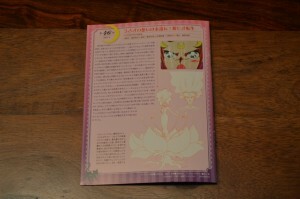 A nice looking booklet of episode descriptions is included. These short descriptions include a single screenshot per episode as well as pieces of production art that pertain to characters introduced in those particular episodes. I’ve included a sample page above and will include a few more later in the post. All considered I stand by my assessment of the last set that the quality is “good but not great” and it won’t be worth buying for most fans who are either really picky about quality or don’t like having money. While the available English versions don’t have terribly good video quality this is not a huge improvement over the original Japanese DVD releases and many other international releases of the series. It would have been really great to see a better quality release for these Blu-Ray sets but for whatever reason this doesn’t seem feasible at this time. 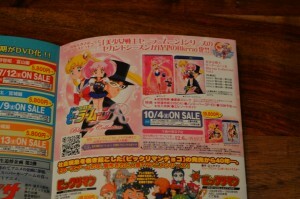 Sailor Moon R part 1 will be released next month. 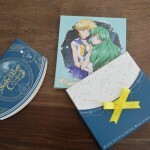 It can be preordered from Amazon Japan and CD Japan. 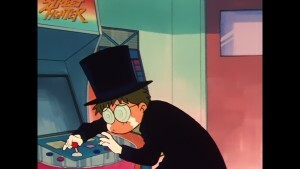 Since this season was originally only released in interlaced video quality on the original Japanese DVD I anticipate a more significant video quality improvement with this set. 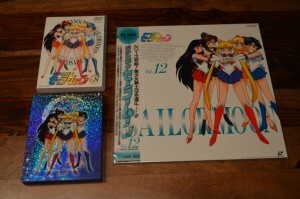 Keep reading for more screenshots, as well as photos of the box art and the included booklet. 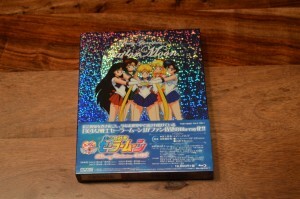 This entry was posted in Merchandise, Sailor Moon Anime (1992) and tagged Blu-Ray, Sailor Moon Season 1 by Adam. Bookmark the permalink. I’m so glad we have you to buy this expensive stuff to share with us. I mean that without any ill intentions! I’m really grateful to see this stuff and get free reviews without having to shell out for it. Thanks, Adam! Haha! I second this. You’re doing good work, Adam. Yeah… I love the packaging of this, but the video quality would need a substantial MAKE… UP!!! for me to crack open my wallet. Until then, thanks for the review! The movies were always meant to be seen on a movie screen, though. 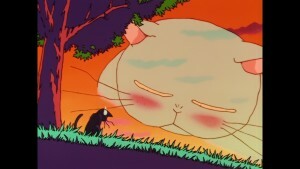 The series would have been drawn with the expectation that it would be viewed on a conventional TV, and its art style was more surreal and impressionistic than realistic. Would the original drawings have looked that much better at a higher definition? Surely the show was meant to be broadcast on a standard definition TV signal and it looked good as such. That said a lot of older shows look great on modern displays with a little work. The original Star Trek is the example I always think of. It’s over 50 years old at this point but the HD version on Blu-Ray looks fantastic. It wasn’t an easy job going back to the film source and making this version, but the audience and money was there so it was viable. 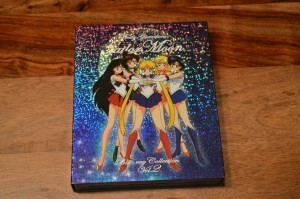 Would Sailor Moon sell that much better if they were able to go back to the film source to make a better HD version? I’m not convinced. 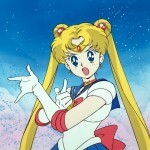 I recall seeing some very high-resolution production “stills” for the digital-ink-and-paint series Cybersix that TMS had put up on their website, and it was pretty obvious they really weren’t meant to be viewed in such detail – and Cybersix was drawn in a far more realistic style than Sailor Moon was. Indeed. Next Generation had this problem too. A lot of the effects shots were actually edited on video so it wasn’t a matter of simply getting the whole show on film. For original Star Trek they had the option on the Blu-Ray to watch the original or upgraded versions. I always chose to originals and it was all nice until the occasional fade or planet shot which was much lower quality. Still the majority of the footage is just people talking and practical effects which were captured on film so it wasn’t a huge deal. 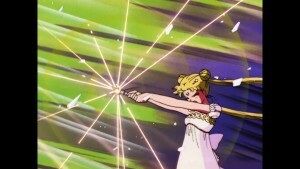 For Sailor Moon or other anime I couldn’t tell you how the effects were completed. Some series on the other hand are shot on straight up video cameras. It gives it a game show or soap opera look. 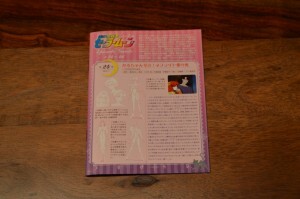 This is what the live action series used. Looks find on a TV but not on a computer screen and you can see interlacing artifacts during effects sequences even on a TV. I have to ask, how’s the quality on the creditless openings/endings? Are they also remastered HD or are they clearly in worse quality? I really want them in high definition but they always seem to slap the same old version onto every release. Not remastered. Pretty low quality. 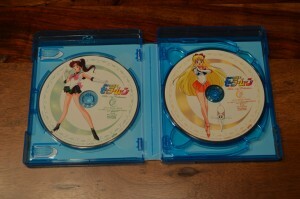 They’re of a worse quality than the openings included with the show. If anyone is interested in having the new Japanese Bluray sets, consider buying the new Australian bluray releases. 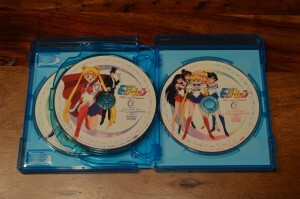 These blurays use the same exact HD upscale video as the Japanese blurays. Bonus perks of collecting the Australian releases is that they have the new English dub included, as well as English subtitles. The sets are also full series sets at about $80-$100, vs. the Japanese half sets. So about a 2/3 decrease overall in price. Not much for extras on the Australian release. Opening and ending textless credits in same poor quality, a behind the scenes segment of the Viz cast and Australian trailers. 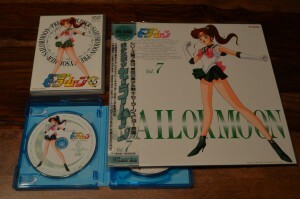 Set includes 2 bluray cases contained in one series box. 5 discs total. 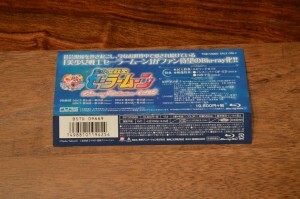 In one of the bluray cases you will find a small booklet with the usual new art in every release. No episode guide included and no cast interviews in booklet. I do remember the Viz sets having more extras included. 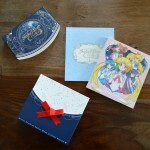 So, if extras and booklets are your thing, you won’t find much here. The bluray menus are nothing special. Just transformation music with everyone’s attacks. Same menu on every disc. No dvd copy is included. Blurays only. The one major catch to collecting these is that they are Region B only [Europe, Middle East, Africa, Australia], so unless you have a region B or region free bluray player, these will unfortunately not be view-able. Overall, I am EXTREMELY HAPPY with my purchase and plan to collect all the Australian bluray releases. I hope this has been helpful.